North America is supplied this alien looking fruit from Hawaiian crops. I don’t normally buy imported produce, but these things looked too crazy to pass up. 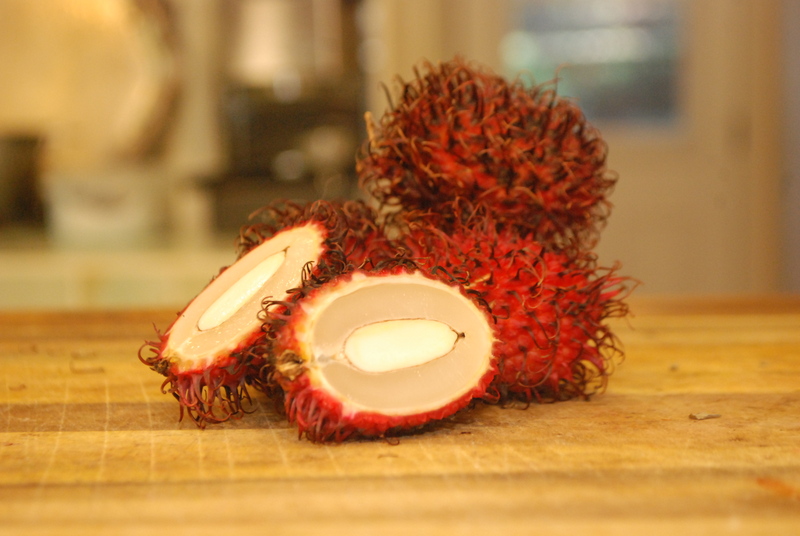 “Rumbat” is the Malay word for hair, which is exactly what this looks like, a spiky, hairy fruit. The moment I laid my eyes on this intriguing specimen, I was reminded of lychee, also a tropical fruit. Upon slicing open, it became even more obvious that the two fruits must be related. And through subsequent research I’ve learned that is indeed the case. 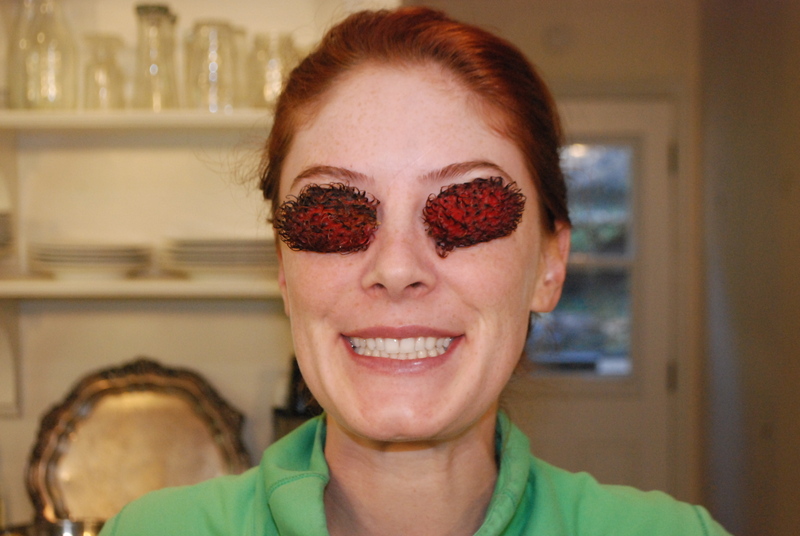 It probably goes without saying that you do not eat the spiky outer layer or the seed. You can slice it in half lengthwise and take out the seed, but the preferable and traditional way of eating it is to make a cut through only the outer layer and peal it back, nibbling at the sweet fruit around the seed. If you’ve not had lychee, the texture is very similar to that of a grape but the fruit is a tad sweeter. Love it, especiall the last picture. There is an episode of Ugly Betty where they call them “Tico Berries.” The episode guest stars my girl Adriana Lima, who claims that the “Tico Berry” isresponsible for her beauty! Also, in Costa Rica they call it mamón chino, which means something really weird when you say it in English so we’ll leave it in Spanish. Haha! I love it! I remember that episode, it was a great one. I love lychee, but they are a bit sticky. 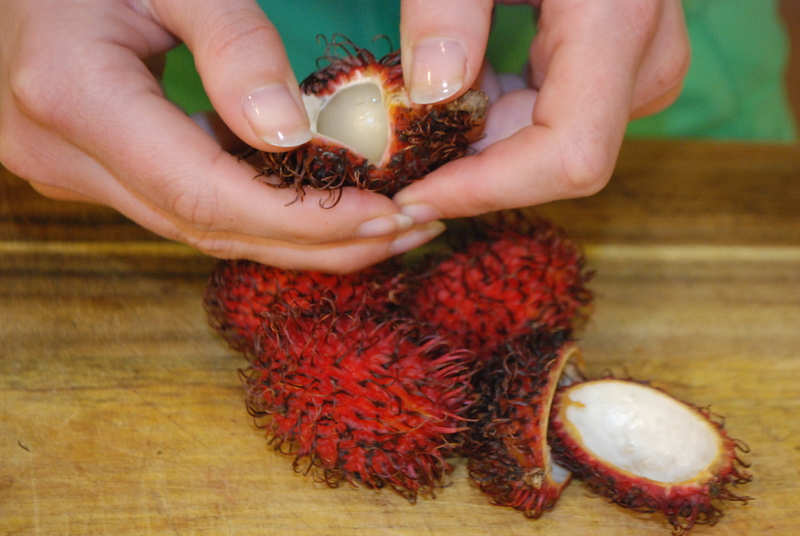 Rambutan feel and taste like a peeled grape.